Phew, after England’s last-gasp win over Croatia we can all breathe a sigh of relief and get back to the real football action with the return of the Premier League this weekend. And what a weekend it promises to be as the Lilywhites get ready to London rivals Chelsea at Wembley in an encounter that could prove pivotal for both sides title aspirations. Mauricio Sarri’s Chelsea side come into the game unbeaten in the league this season and what a joy it would be to see the Lilywhites be the team to end that glorious run. However, despite that run, the Blues sit just one point above Tottenham as four draws have slowed down the Chelsea progress and allowed Manchester City to pull away from them at the top. Tottenham will have plenty of work to do though having only won half of their four league games at Wembley this season whilst Chelsea has won four of their five road games this campaign. Impressive stuff from the Blues and if last season is anything to go by, then Spurs should be wary. Chelsea registered a 2-1 win at Wembley last season although Tottenham did gain revenge by winning 3-1 at Stamford Bridge Spurs can be confident in their squad’s ability especially as star striker Harry Kane has been hitting the back of the net for England during the international break. 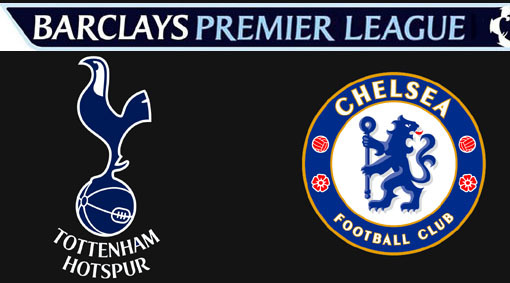 Can Tottenham End Chelsea’s Run? This weekend’s fixture is undoubtedly Chelsea’s toughest road trip they will have faced so far this season. It may be true the Blues have already faced Arsenal, Liverpool, and Manchester United, but they all came at Stamford Bridge and for the first time this season we will discover whether Chelsea are genuine contenders or whether the Lilywhites will make an assault on Manchester City’s defence of their title. Undoubtedly either side can win with the smart money likely to go on a draw but that is a result that will hardly be inspiring for either side. The only way for both sides to avoid disappointment is to ensure they get the three points but that is an impossible scenario. Only one team can go home happy and it would be hard to back against the home side smiling after 90 minutes.